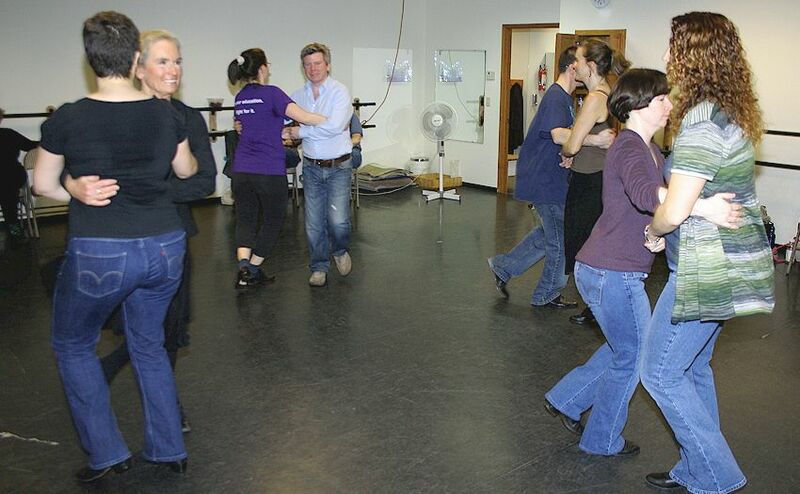 Patrick O'Dea from Roscommon, Ireland arrived in Seattle for some time on the slopes, followed by 2 busy days of dancing. 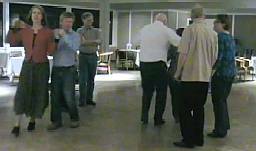 Saturday's dance workshop was held at the Momentum Dance Academy in Burien, and Sunday's afternoon workshop was held at the Glen Eagle golf course just west of SeaTac After a meal to celebrate his birthday, we concluded the wkend with a set dance ceili. Our sincere appreciation to Mick Kelly's for letting us utilize the wonderful accomodations at the Glen Eagle Country Club . And deep thanks to Patrick O'Dea for including Seattle on his USA tour. A big pat on the back also goes to the musicians that kept the lively tunes flowing day and night. We owe a debt of gratitude to his wkend hosts (Mike & Kathleen) and to Martha O'Grady, a very important babysitter of 2 energetic young boys - she makes this busy dancing weekend possible ! 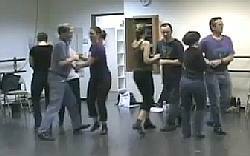 Feb 11&12 '2012 Pat O'Dea will return to Seattle for 2 days of set dance workshops & a ceili - you'll find those details here ! 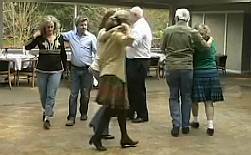 Click on the links below to view the samples on You tube from the Pat O'Dea Dance Workshops & Ceili's ! before you hit Play again. It should play smoothly for you then.